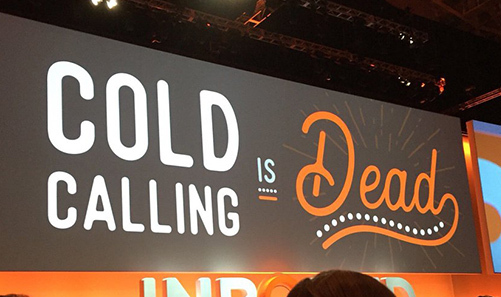 A staggering 20,000 people from 92 countries descended on Boston last week for INBOUND 2016, the definitive marketing event from the fine folks at HubSpot. The ClearVoice team showed up as well, eager to demonstrate our content marketing software, connect with our fellow marketers and learn from such industry giants as Gary Vaynerchuk, Reshma Saujani, Brian Halligan, Dharmesh Shah, Ann Handley, Seth Godin, Larry Kim and Rand Fishkin. With six keynote speeches, close to 300 breakout sessions and five days of almost-nonstop activity, no one could experience everything there was to do and see. We rounded up the biggest impressions, favorite quotes and other noteworthy takeaways from ClearVoice staffers and a few of our peers. Gary Vaynerchuk kicked things off in his welcome keynote by confirming what we at ClearVoice have built our company on: Content is the key ingredient in winning people’s attention. Brian Halligan echoed it when he announced, “Cold calling is dead.” Provide value. People want information. Inbound is fueled by content. We’re on the right path. It feels really good. My favorite part about HubSpot is the product announcement speeches. Christopher O’Donnell did a fantastic job detailing some of the new product roll-outs, detailed here. Most of the new features are intended to further what HubSpot calls “The Growth Stack.” The new features are wide and deep, something only HubSpot seems to be able to consistently pull off. They are also rolling out a freemium version of HubSpot, which I’m sure will be nice mid-funnel MQL/SQL driver. In particular, I’m interested in the upcoming LinkedIn Sales Navigator integration slated to roll in 2017. After five days working the ClearVoice booth, attending sessions and networking, I had ample opportunity to speak with all types of businesses and professionals. Whether it was a director of marketing, an agency owner, consultant or CEO, everyone had one thing in common: They are SO over dealing with poor-quality writers, and they’re struggling to find a better option. No one has the time to vet writers for their brand in addition to their existing workload, but they know their marketing efforts depend on great writers, sometimes in niche verticals. Luckily — happily — this is where ClearVoice comes in. The internet is the death of forgetting. This was the first time I really, fully understood that we live in a world of transparency. The consumer can essentially run a background check on any brand in a matter of seconds. Not only does your content fuel a brand’s website, blogs, email marketing campaigns, SEO and social, it also leaves a permanent footprint of how consumers will think about you. Create mindfully and with purpose, because the internet doesn’t forget. We’re experiencing that same challenge. We’re all struggling to stay on top of this machine that is content. In order to grow, we have to be willing to fail. You have to be willing to try a million things to find the one thing that works for you. We’re all in this together — and we need to be willing to learn from each other. Having attended INBOUND, I now fully realize how important quality content is to the success of companies. The biggest challenge they’re facing is the ability to create engaging and high-performing content on a regular basis, and ClearVoice solves that. To know we’re helping companies and agencies was inspiring, and it confirmed everything we’ve been doing as a company over the last two years. What a spectacle. 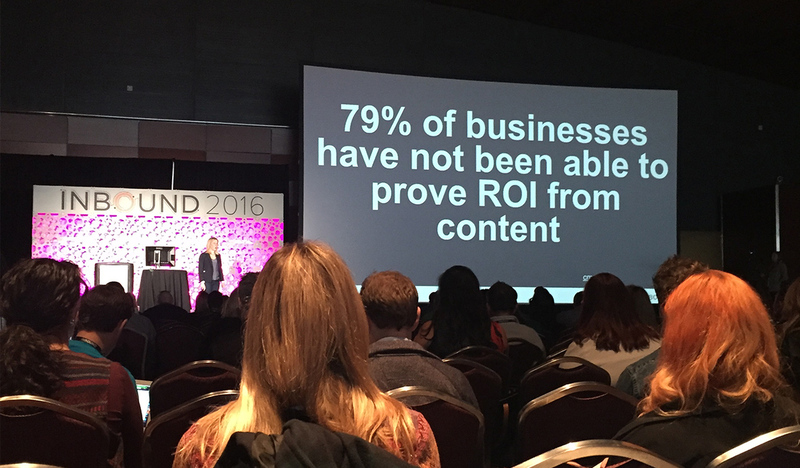 INBOUND 2016 was a massive event with over 20,000 marketers from all different backgrounds in attendance, and seemingly everyone who came was on board with the fact that great content is at the heart of inbound marketing. After what seemed like hundreds of conversations, it became apparent that marketing managers, content strategists, CMOs, presidents and owners all shared a common goal with their marketing regardless of their respective businesses or locations: they want to build something special and see content as a vehicle to help make it happen. Also, it was great being “booth neighbors” with our friends at SEMrush. INBOUND will be even bigger next year!